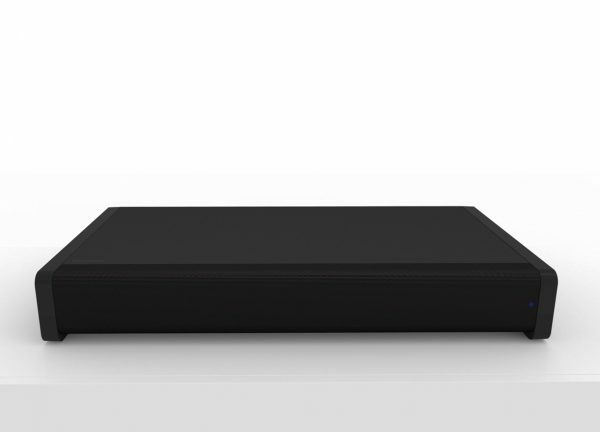 The Goodmans Base provides you with a complete sound solution for your home. 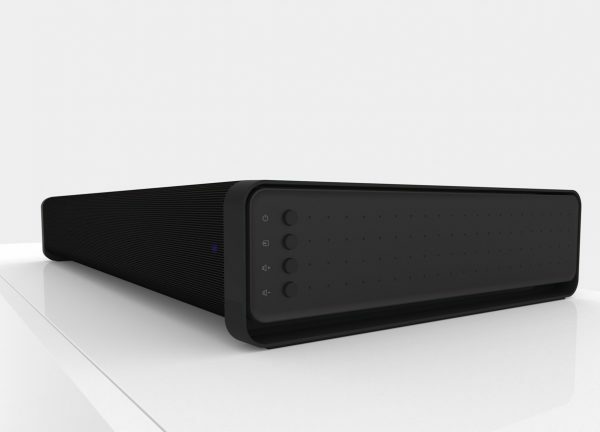 It acts as a sound bar for your television, provides a host of input options so you can connect various items to it, has Bluetooth connectivity to give you wireless streaming of music and has a remote control that lets you control things. It consists of 6 speakers, in a 4.2 channel configuration, delivering 100W of power. This means that it promises you a great and powerful sound experience. It fits happily under a TV, so lack of room is never a problem. The device itself is much like most TV based sound bar solutions. Covered in what is almost an industry standard black matte colour, it features 4 speakers on the front, and 2 speakers that face downwards and issue bass. On one side, you have a bunch of controls that let you choose input and adjust volume. An LED on the same side on the front indicates not only what your input is, based on the colour that matches that input on the remote. They kind of make sense, but not totally. For example line in is green, and Bluetooth is blue, but you get other colours for the rest. The LED is red when the device has power, but it is turned off. You can also tap next to the buttons to use NFC to pair to the device. The back shows the various inputs as well as the Bass outputs. As seen in the above picture, it can easily support a reasonably big sized television. You should be okay up to 55″, but might want to check for bigger ones. Between the remote and the controls on the device, it is fairly straight forward. The remote offers you adjusting of not only input source and power and volume, but also lets you adjust bass and treble. However, since there is no visual feedback on levels of any of those things, it is hard to judge what things are like. This was probably the only major flaw I picked up. Bluetooth pairing is fairly easy as well. Using NFC helps you pair it quicker, or you can just scan and pair the good old fashioned way. Based on the ease of setup, once you’re set, there shouldn’t be much more to think or worry about. And this is where it all comes down to. The sound quality was quite good, and very detailed. More than that, what I found really good about this device was that it had the ability to propagate sound, without it being too loud. This meant that I could hear it at different corners of the room, as well as different parts of the house with little discomfort to the people close to me. Thus the surround sound effect was proved and proved well. The bass was good when turned up, and though it didn’t really shake me to the core, it felt deeper at the right levels. Treble was the same, though I found this speaker to be a bit more bass heavy, but this is the nature of most of these devices. While the bass won’t shake you to the core, let me assure you that it does deliver an extremely high volume if you so wish. 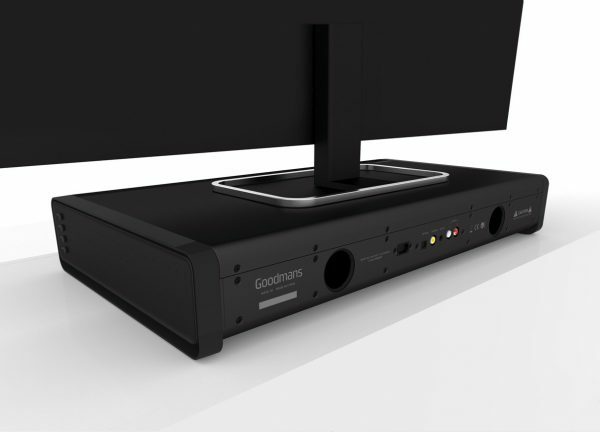 In a world where televisions are beginning to rely heavily on sound systems, the Goodmans’ Base gives you a good solution that delivers both on sound and value. Not to mention that the Bluetooth connectivity means that you’re not just restricted to your television and such like!